Data Eliminate’s Secure Courier Service is compliant with secure transport requirements laid out in Sections 10 and 13 of the Centre for Protection of National Infrastructure’s Standard for Secure Destruction of Sensitive Items. Serial numbered security seals and tamper proof containers. For Pricing Information please contact us via the Enquiry Form. Please state the start and end point postcodes of the journey. The secure vehicle courier service is specifically designed for HM Government and Defence and Security Organisations. It is suitable for UK Government data and material classified at Business Impact Level 3 (BIL3) and above. When you need to move sensitive materials and equipment, Data Eliminate’s secure courier service will transport your sensitive consignment safely from A to B anywhere in the UK. There is a genuinely compelling reason why you should use Data Eliminate ahead of most data destruction providers. To Data Eliminate, security covers the entire chain of custody from receipt/collection, through transport, handling and storage to destruction and recycling. Alternatively, collection and safe transport to your chosen destination for customers of our secure courier service. As Data Eliminate does as standard, some data destruction operators use CESG and MOD approved equipment. Others don’t even use approved equipment. That is where ‘security’ stops. Very, very few data destruction service providers offer an independently verified secure chain of custody. Put simply, the fact the equipment may be CESG and MOD approved is little comfort if the person handling your highly sensitive hard drive has not been security vetted and is a criminal, or one or more of your hard drives go missing before it is destroyed. 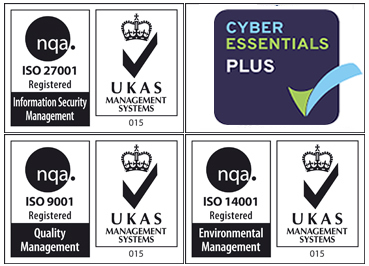 Data Eliminate’s security procedures have been audited and claims tested by independent UKAS (UK Accreditation Service) approved bodies to the standards of the International Standards Organisation (ISO) and HM Government’s Civil Information Security Authority (CESG). 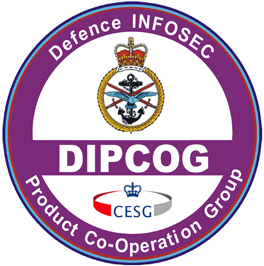 Certain Data Eliminate services are available on the UK Ministry of Defence’s “P2P” – the MOD’s internal procurement portal for secure services. Our management systems are maintained to these Standards by regular assessments of the constantly changing risks and threats to customers’ sensitive data. Being continually vigilant in face of changing circumstances and making improvement to security is the best way of reducing risk. The irony is that under no circumstances should buy from a data destruction provider or courier company who claims their service is totally or 100 per cent secure. If they make this claim, they either do not conduct risk assessments or produce assessments which show zero risk. These are by definition invalid. Either way, such companies are totally complacent about the security of your sensitive data. Data Eliminate’s Integrated Management System for Hard Drive and Computer Media Shredding and Destruction. We have carefully designed security procedures to minimize risk at every stage of the data destruction process or during the secure collection and transport of your consignment. These are documented, independently assessed and updated as part of a process of continual improvement. Are regularly visited and inspected by external UKAS auditors. Our company’s systems and procedures were designed and built from the outset using the framework provided by these standards. They are integral to our operation and provide us with a platform for continual improvement and rapid expansion. Please Think Before You Choose a Data Destruction Supplier or Courier! We really urge you to think before you choose a data destruction supplier or a secure courier. Would you hand-over thousands of pounds sterling in cash to a person or company you found on the internet who claimed they were “honest” on their web site? No, you would seek third party verification of their claims first. Likewise, the sensitive data you are disposing of or transporting now is probably worth thousands of pounds in the wrong hands. So don’t hand it over without thinking! The supplier and its staff might be as honest as the day is long…but then they might not. How do you know? The data destruction market features many operators who make unsubstantiated claims about security but lack basic security measures. For example, they don’t vet their staff; they collect your confidential data on an open-backed lorry and leave hard drives lying around in unsecured areas. There are also many companies who make unverifiable claims about having MOD or CESG approval and use the of MOD or CESG equipment and processes. Whichever supplier or courier you use – choose one that can substantiate their security claims and has certificates from third parties to prove it. If you hand over your sensitive data to the wrong company/vehicle courier you could be significantly increasing the risk to your confidential information and reputation rather than reducing it. Reasons why you should choose Data Eliminate. We are already on the Purchase Ledger of many Government Departments including but not limited to the HM Treasury, The Home Office, Ministry of Justice and Ministry of Defence – please contact us for our supplier account number. Public sector organisations, including agencies and arm’s length bodies, can use the Digital Marketplace to find people and technology for digital projects. As an approved supplier, you can engage our services through the Digital Marketplace.